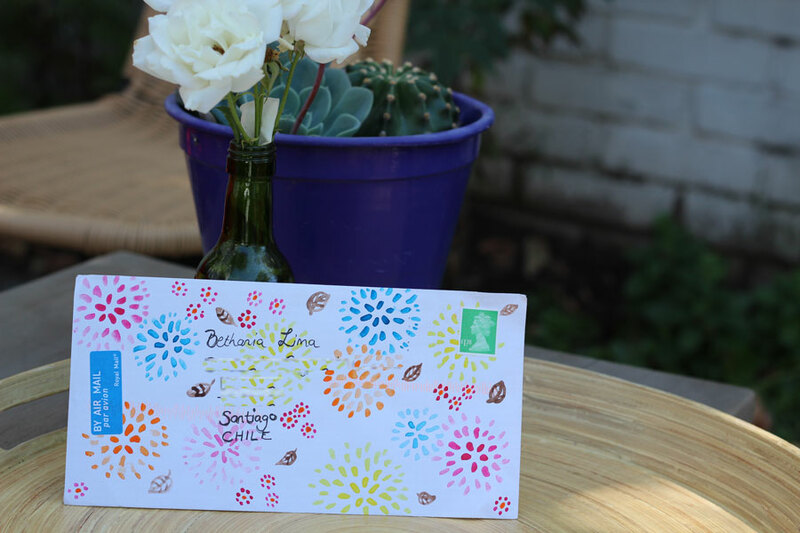 Decorated envelope gift, 1, designed by Anneline Sophia, 2013. 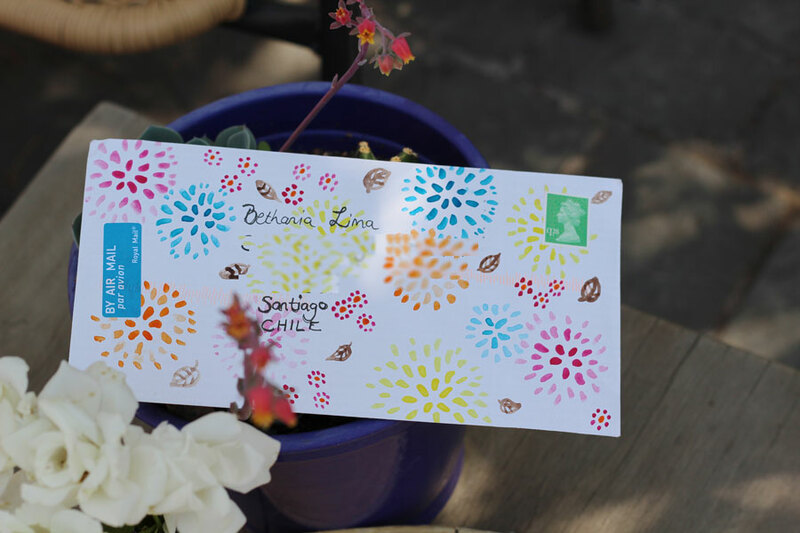 Decorated envelope gift, 2, designed by Anneline Sophia 2013. Hi. Got another Efuto. The one above pictured is fresh, colorfoul and floral. Love it. 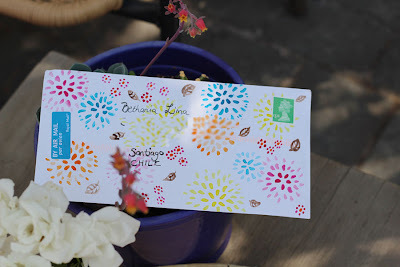 The sender was Anneline Sophia, another classmate from the great ABSPD course. By the way, Anneline also send a few words on the back a gorgeous Rachael Taylor's postcard. See it below. 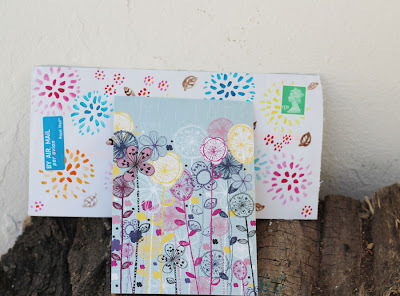 Efuto, designed by Anneline Sophia, and Rachael Taylor's designed postcard. I know of a few more Efutos that are on my way, and hope they come home pretty soon. If you love those decorated envelopes as I do, don't miss the directory I mentioned here, initiative of Gill Egglleston, or this post here, from Jullie Hamilton, all lovely sweet ladies and surface pattern designers, old members (founders, may be?) of our amazing Facegroup, full of talented people with whom I am always learning a lot. Have a nice week and thank you for stopping by.